“my mind wills the hands around your face” – perfection, Leslie. So many times I’ve tried to control time. Loved this poem of time and its inescapable rigidity. You capture something we have all tried to will time to move at our command….very nicely done. This goes well with my new Tourbillion! 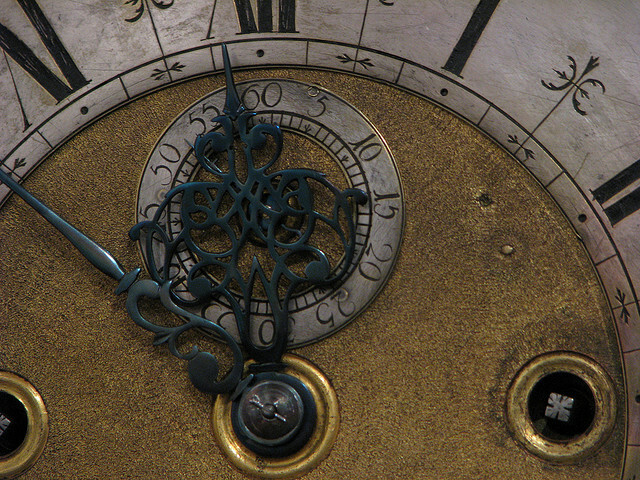 “TIME” is one of my favorite topics on which to bloviate–as if I really knew of what I’d be writing–grin! Nice to visit you, Leslie, and to note again that your blog is in capable, talented hands…YOU! Feel free to have a look at my writing site. I’d love some feedback. I like this evocation of our relationship with time, the attempt to will, the Impatience, the passage to dawn, the pull to forever…..good write.